Lately I have been looking at authenticating to Azure AD without having to rely an a 'shared' secret. 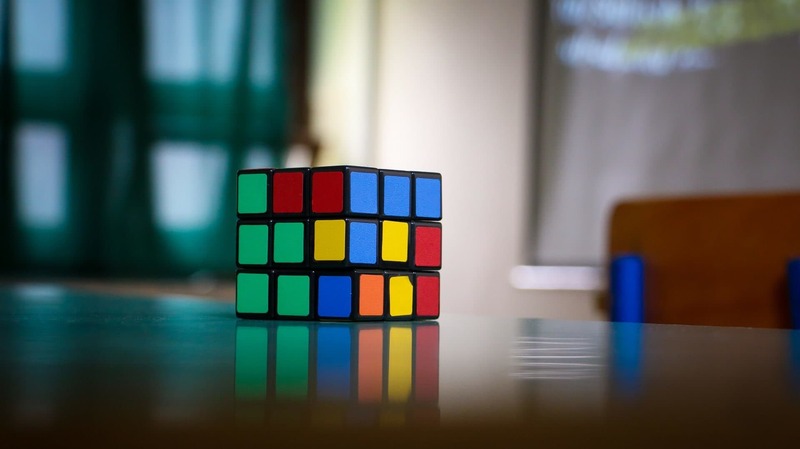 That is, for the most part, how the code samples about Azure AD are crafted, there is usually a step to generate an application secret and then paste it in a configuration file. This secret key is needed to get a token from Azure AD at runtime and authenticate, to something like a Web API, and retrieve data securely. This approach is perfectly fine to get things working, but if you want a higher level of security in your production applications then obtaining an Azure AD token using a certificate would be a better option. In order to accomplish this task, we will need to setup a few things before Azure AD can utilize our certificate for authentication. Let's look at the high level steps we need to make in order to accomplish this. 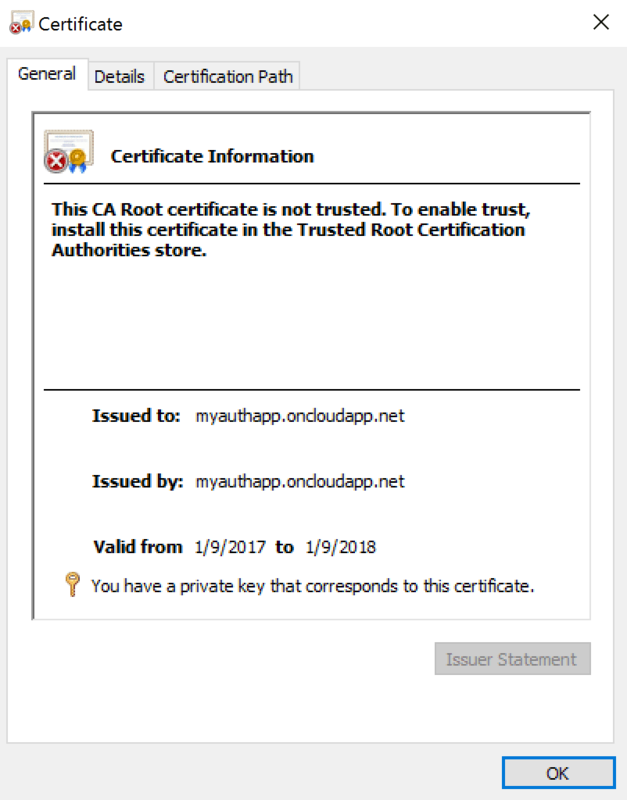 The previous command creates a self-signed certificate with an exportable private key, a subject name of 'myauthapp.oncloudapp.net', a length of 2048 bits and it also creates a file to hold the private key (myAuthCertificatePrivateKey.pvk). The snippet first gets the certificate data from the previously created certificate, then creates a new Azure AD Application Registration and appends the certificate data to it. // Return to error page. In the code snippet above you create an instance of the **ActiveDirectoryClient** and then use the **GetTokenForApplication()** method to obtain a token authenticated with the certificate associated with the Azure AD Application. The result is the same as if you were using the shared secret key, however, the certificate route provides a higher level of segregation of duties by allowing an admin to install and manage the certificate. This post was a bit packed with a lot of information, and it is really meant to be high level. 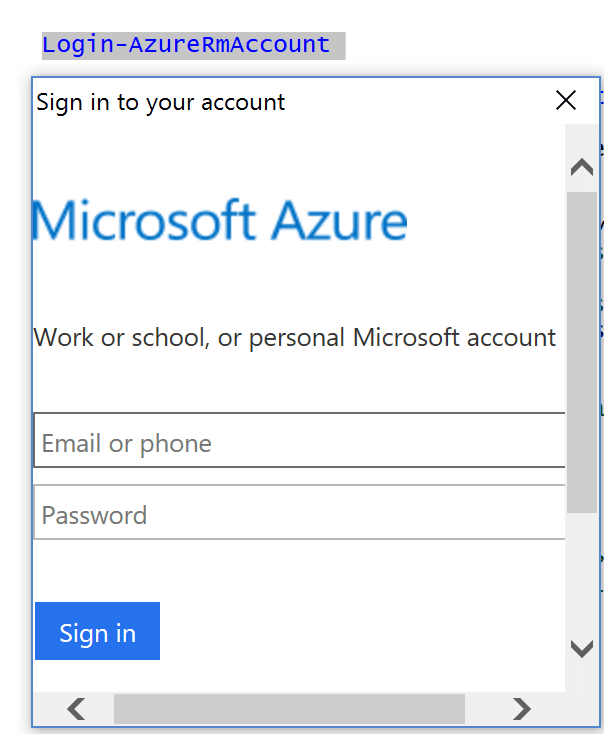 On this post, I briefly touched on how to authenticate using certificates with the Azure AD Graph, which is not completely the same as the Microsoft Graph. That is because, as far as I have seen, there is no clear path for doing certificate authentication with the Microsoft Graph. I may be wrong, and if I find out otherwise I will be sure to blog about it, but that's just what I know at this time. In any case, the ability to authenticate to Azure AD with certificates is very useful and it offers a higher level of security for building secure applications. Especially when connecting to a secure service like [Key Vault](https://azure.microsoft.com/en-us/services/key-vault/), but that is a topic for another day. Thus, stay tuned for future posts where I will dive deeper into the topic of certificate authentication.